It struck me on my last visit what these 5 light bulbs do to the entire room. 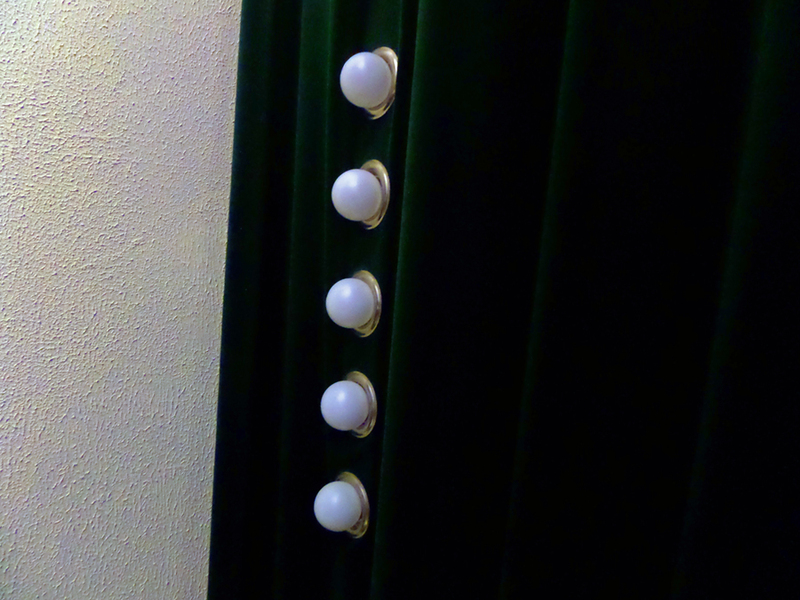 My idea was to let the green of the velvet form a unity with the color of the ivy outside and the rest of the wall. When the curtain covers the door at night the unity continiuous. It gives a pleasant feel to the space. And all this with only a 10 watt output.